Lots of weather going on across the United States. Showers and thunderstorms are moving through the Midwest this afternoon and there's a potential snow storm moving towards Colorado for early next week. Check out the video forecast that discusses the severe weather threat in the Midwest and also the threat for snow in Colorado. 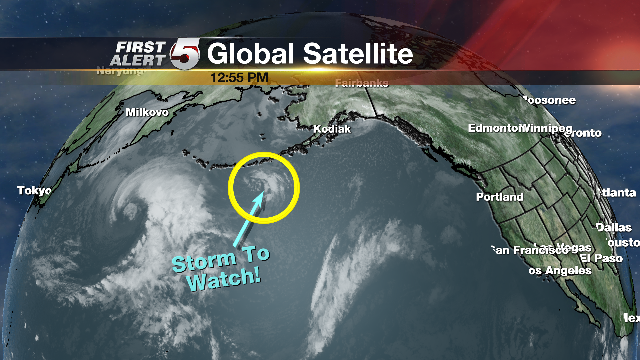 There is a piece of energy I am tracking that is currently moving across the northern Pacific Ocean. This could help spawn an area of low pressure that could dump snow on southern Colorado Tuesday.